We have been working with Ramiro Braga for about 5 years now and in that time have worked together on brokering 6 transactions (purchases and sales). Ramiro brings so many extras to the table and possesses good business acumen which is very helpful during negotiation phases. He goes the extra … ... We have been working with Ramiro Braga for about 5 years now and in that time have worked together on brokering 6 transactions (purchases and sales). Ramiro brings so many extras to the table and possesses good business acumen which is very helpful during negotiation phases. He goes the extra mile and doesn’t stop at just showing you listings and doing open houses (which he does very well and devotes a lot of time to), but also provides valuable insight and clearly considers his client’s interests as #1 in all cases (buying or selling). As far as we are concerned, Ramiro is the guy we go to and will continue to go to for any real estate needs. On our last transaction, we made a record sale in an upcoming neighborhood and the buyer’s agent made a point of telling us how instrumental Ramiro was on closing that transaction with his buyers (not an easy feat given both parties had strong points of view). It is with great pleasure that I have this opportunity to write this letter of reference for Ramiro Braga. Ramiro is a skilled real-estate agent who goes over and beyond his job description. He is a hard working individual with high expectations and a strong work ethic. He quickly develops good … ... It is with great pleasure that I have this opportunity to write this letter of reference for Ramiro Braga. 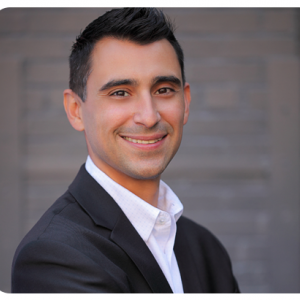 Ramiro is a skilled real-estate agent who goes over and beyond his job description. He is a hard working individual with high expectations and a strong work ethic. He quickly develops good rapport with his clients and has strong people skills as well as a sense of humour. In September 2013, my brother and I unfortunately had to sell our childhood home since our mother had to be placed in a nursing home. Ramiro was sensitive to our condition and was able to help us move past some of our emotional struggles when we had to empty the house. To add to his understanding towards us, he communicated almost daily with the family to keep us in the loop and so that we could be part of the decision making process. We felt like a team during this difficult process. If it wasn’t for his guiding ways and caring nature, we would have had an unpleasant experience.